The Guest Excel - Guest Service Management System (GSMS) is a unified system which ensures that all service requests from guests are assigned to hotel staff and the services are delivered to the guests in time. 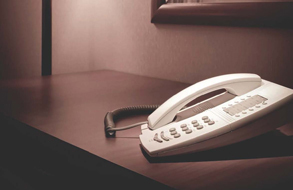 The guest needs to touch only one button on the room phone for all the services such as house keeping, engineering related, or even medicines in the case of a hospital. So we call it Guest Excel – One Touch Service. The product automates the entire workflow from the time the guest’s call is answered till the time the services are delivered. Intimation of new service requests from guests and escalation in case of delay is done through text messaging (SMS) to mobile phones and email alerts, instantly. Guest Excel communicates with leading Property Management Systems like Amadeus Property Manager (APM), Amadeus Web star light, Micros Fidelio and Springer Miller to get the Guest information. In the case of hospitals, it also communicates with the Hospital Information Systems. Guest Excel includes an interactive voice response (IVR) system using which the hotel or hospital staff can raise new complaints, check guest service status and update the status of guest service. Guest Excel is integrated with interactive TV because of which the guests can use these services on the interactive TV menu also. Guest Excel also helps the hotel or hospital’s administration staff to register, investigate & track the complaints which are faced by the in-house and visiting guests. It helps immensely in alerting senior management in the hotel before serious lapses happen in service delivery and thus help in retaining customer loyalty. Guest Excel also makes the task of the hotel’s engineering department easy by automated preventive maintenance plan and maintaining the equipment history.